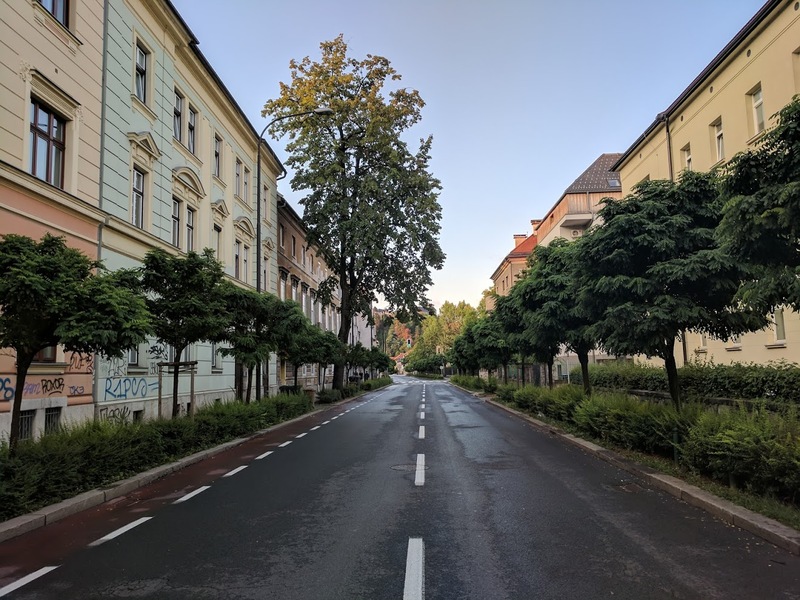 In my mind, Ljubljana was just a place on a map, a waypoint between our previous destination (Brussels) and our next stop (Bled). We arrived at about 6am on an August morning and knew we had a few hours to kill until we could pick up our rental car. 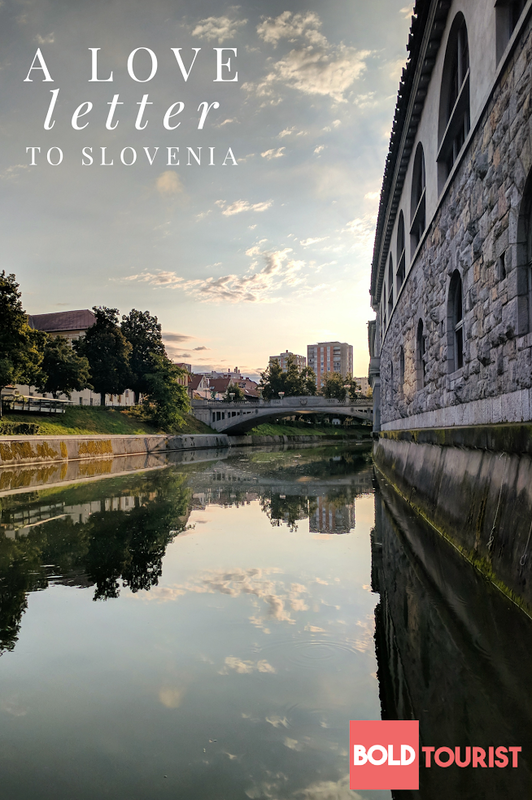 What I didn’t know was that Ljubljana, the capital city of Slovenia, is a magical little city filled with curious streets, quaint shops, and a meandering river that looks as still as glass. Apparently, shoes-on-power-line is still a “thing” around the world. 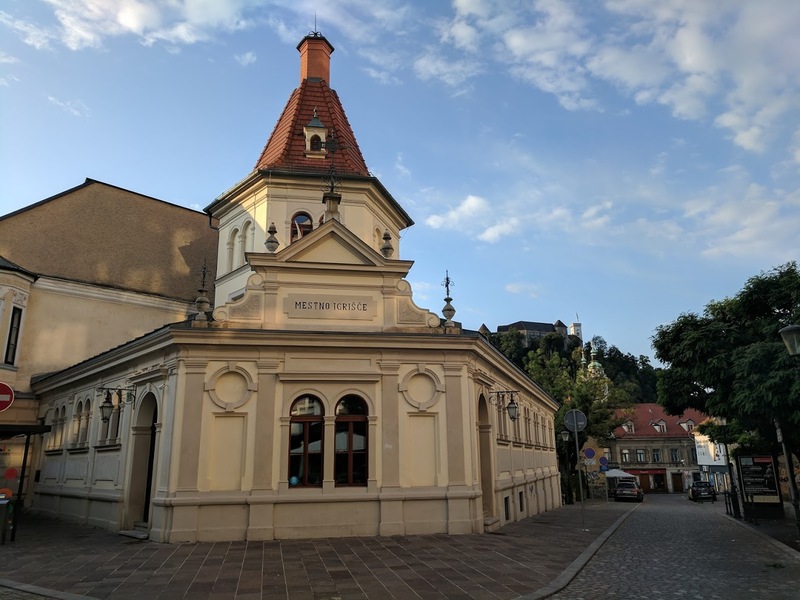 Our group hadn’t planned anything for this pitstop, assuming we would just wait around in a cafe until it was time to move on. 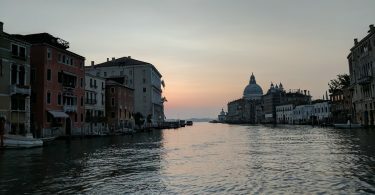 Instead we were greeted by sleepy, cobbled streets as the sun rose above the baroque-style rooftops. 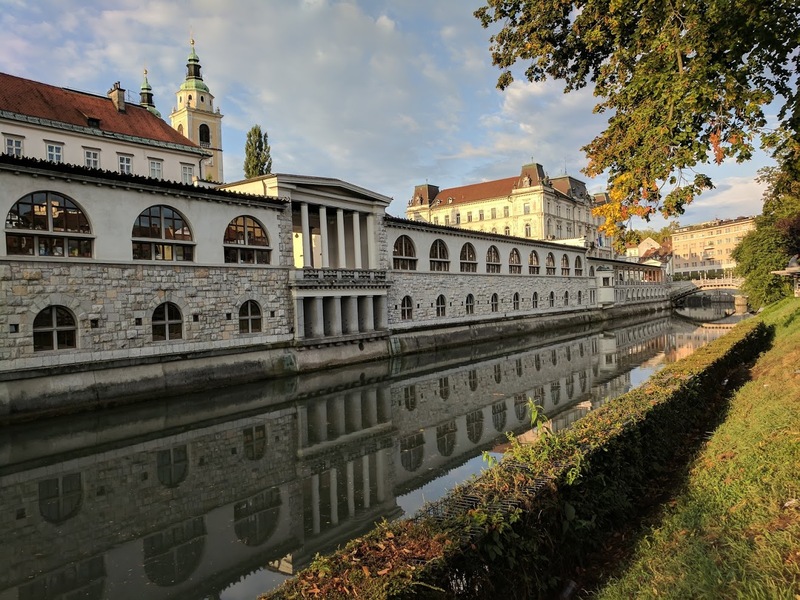 We walked down to the Ljubljanica River, where the city center really comes to life during the day, and the water hadn’t yet been disturbed from the long night’s rest. The river was so still that it was easy to wonder if you were looking upside down as the sky was so perfectly reflected back at you. 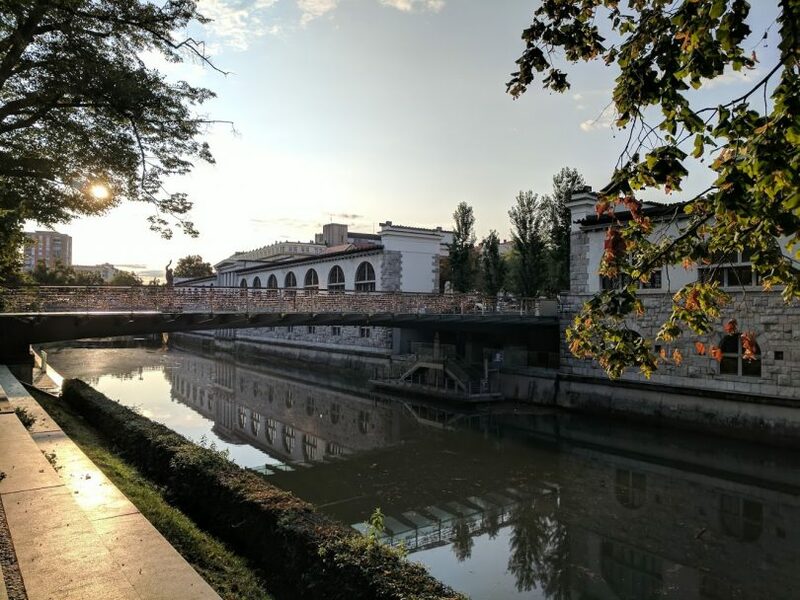 If you find yourself in Ljubljana, make a point of going out early, before the city begins to wake up. When we returned several days later to catch a bus, it was jarring to see so many people out during mid-afternoon. 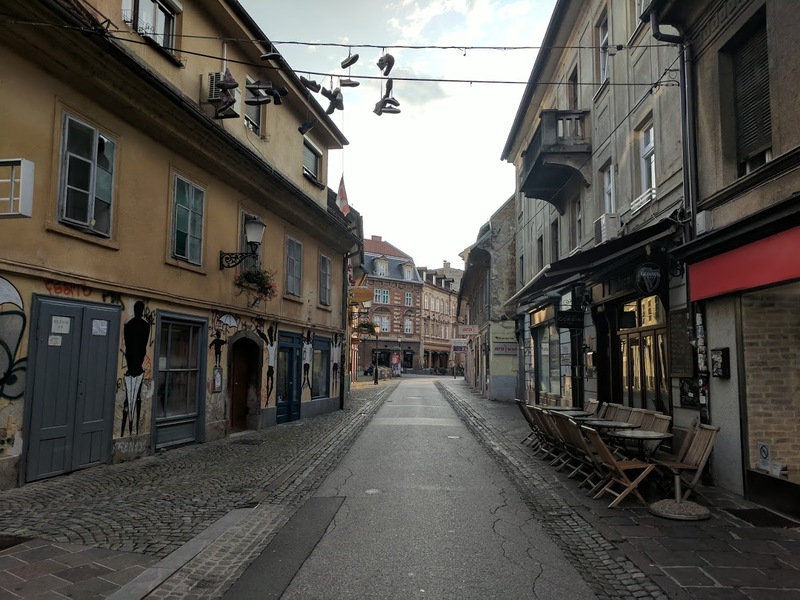 In my mind, Ljubljana will always be that hidden gem of a city, with the sun sleepily climbing in the sky, and the few shopkeepers preparing their storefronts for the day. I just enjoyed reading this blog. 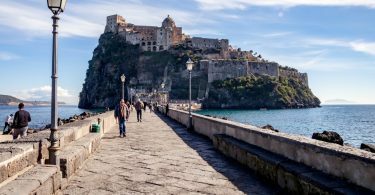 I regularly visit your blog and every time I found & learn something different on travelling. So I want to thank the admin for putting your efforts in making this well-developed post and I’m looking forward for more post like this.